Comrex Road Warriors - Live & Local: The Next Big Thing at Next Big Thing 7! The Next Big Thing at Next Big Thing 7! 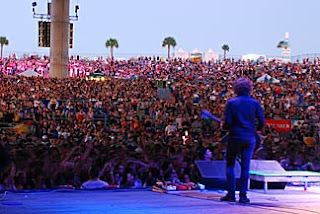 Tampa, FL -- 20,000 screaming fans. 15 of today's hottest bands on two stages. One day full of music. 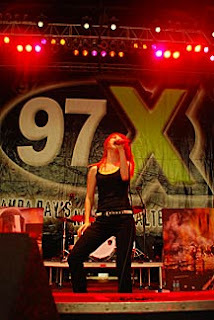 For Cox Radio Tampa Bay's 97X, Next Big Thing 7 has become an annual event, that just keeps getting bigger and better. 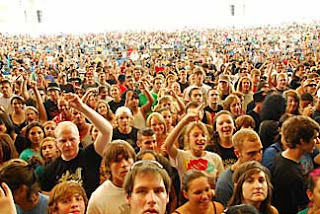 More than just a concert or a radio station event, NBT has become a multimedia event.In addition to broadcasting the 12-hour event live, the station also provided a live video web stream, gave the bands with their own video camera's to give a "band's eye view" from backstage, posted blogs about the event and did live interviews with the bands throughout the day. But for those that weren't lucky enough to get a ticket, 97X went out of it's way to make sure that it's listener's were able to get the full experience over the airwaves. 97X Program Director and Afternoon host, Shark, was psyched when he found out that ACCESS would add a completely new dimension to NBT7. Says Shark, "When Comrex told me that their internal code name for ACCESS was "the Next Big Thing" I got it right away. This thing is BIG -- I was live, on the air, in places I could never have gone with regular old technology." 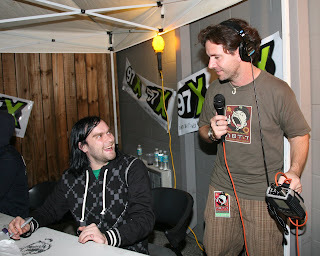 By using the ACCESS Portable with a wireless 3G Aircard, Shark and the airstaff of 97X were able to get live interviews with the bands backstage. If you've ever been at a live concert event, you know that the wired mics on stage often compete for frequencies with other devices. And trying to get a wired mic into a dressing room from an ISDN drop...not always easy or possible. "We sent our jocks out into the crowd and were able to give our listeners a feel for what was happening live at the show. This thing is very cool," says Shark.